SmartAdvocate, is a case management system for plaintiffs' personal injury law firms. Make your practice run more efficiently and profitably. Simply the best case management software for personal injury firms on the market. It is flexible and has tremendous reporting capacity. While it is never easy to migrate data and learn a new program, it went smoother than expected. They provided great support and training and the entire staff bought into it so it went well. Smart Advocate has so many features to increase efficiency, from bar coding documents to templates to texting and communicating with clients, it has made out office much more productive. Also, the metrics measured and reported by Smart Advocate far surpass the capabilities of our prior software. 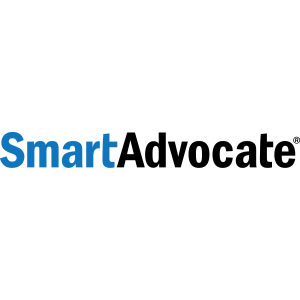 "Best personal injury case management software, by far"
I have been using SmartAdvocate since 2013. I was an early user of personal injury case management software in 1990 with SAGA for DOS and in 2012 tried a popular 64 bit personal injury case management program. It didn't do half of what SAGA for DOS did so I switched to SAGA for Windows which was did a lot but was complicated to use. After a year, I switched to SmartAdvocate and felt like a bought an autonomously driving space shuttle. SmartAdvocate is extremely easy to use and extremely easy to learn how to use. There is simply no information you can't enter into the database and there is a merge code for everything so you can generate complicated documents and PDF forms. It is highly customizable and again easy to do. There are as many reports as you would want. It interfaces with other software and services of other companies. You can track anything including referrals; deadlines; liens medical record requests and much more. You can send/receive text messages and faxes from client screens. It has a sophisticated calendar system; note section with quick notes. It integrates with Outlook (I use Office 365) and you can email from the case document screen and upload from Outlook to documents or notes. They have the best programming and support staff by far. SmartAdvocate was designed for large law firms but I only have two users and it does the work of several more employees. If I was a solo, I would use it. SmartAdvocate does too much too mention here but it's the best personal injury case management software, by far. Just ask them for a demo. There is nothing I dislike about SmartAdvocate! Start by entering data and using one section or feature at a time. My partner who is not good with computers learned it quickly. 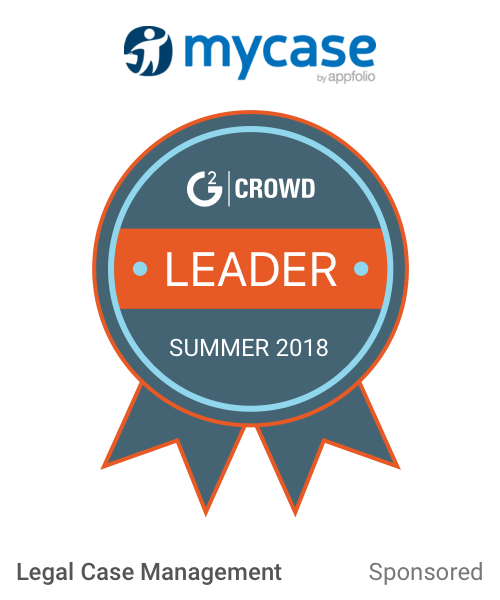 Tracking every detail of cases and moving cases faster without employees. "Best Personal Injury Practice/Case Management Software"
The robust reporting functions and the dashboards that are built into this software are valuable tools that are worth the price of admission. Without a way to systematically pull all of this information electronically it would take a lot of people-hours and you would constantly be behind the 8-ball trying to compile it. With SmartAdvocate all the information is right there at your fingertips. All you have to do is ask for it. I hate Outlook (maybe it's just me). So I'd love to see SmartAdvocate integrate with Gmail instead. I recommend that you speak to a user that's already customized SmartAdvocate to manage their cases and someone who is managing their practice using the program. I used Needles. I used Abacus. I got demos of TrialWorks, Clio, Cosmolux, and a half-dozen other case management programs. These programs aren't in the same league. SmartAdvocate is light-years ahead of these "competitors" (and I use that term very loosely). The closest software you will find on the market are custom solutions built using a platform like Houdini Esq. or Salesforce. Besides costing you a fortune building such a program out from scratch on one of these platforms it will cost you a year's worth of time to customize all the fields, reports, dashboards, workflows, etc. that come in SmartAdvocate out of the box. I press a button to get snapshot about what's going on in my practice. How many intakes came today, this week, month, or year to date? How many of those intakes became clients of the firm and and how many of those potential clients whose case we wanted chose a different law firm? How do those numbers compare to last month or last year? What are the firm's average fees per case? How about broken down by types of cases? How many task did Employee A complete yesterday? How does that compare to the tasks completed by Employee B? How many medical records request are over 30 days outstanding? Can I see a map of my clients based on their zip codes? All of this information (and so much more) is available with a click. You should use this software to manage your cases and you should use it to manage your practice- that's really the key. "Best Case Management Software for Personal Injury Law"
Smart Advocate is very intuitive and user friendly. As an administrator you have the ability to customize the software without hiring a programmer. The reports and dashboards are the best in the business and worth 10 times the cost of the software. When you use a different case management software for a long time it is difficult to make the change but you will be much happier once you just do it! The reporting and dashboard functions alone should convince you to buy this case management software. If you choose not to purchase it then I will say thank you because you have given my firm a competitive advantage. This software solves most of the problems you encounter both as a firm manager and as a front line user because it was created by personal injury lawyers for personal injury lawyers. Personal injury lawyers run into the same issues.....your problems are not unique. Thank you, Brian. SmartAdvocate has a strong and ongoing commitment to its clients. It is client feedback like yours that enables us, in large part, to consistently improve and enhance the system. We'll be coming out with another update soon that incorporates many of the requests and suggestions we have received from clients like you. It's gratifying to see that you are happy with what we've built, and we'll continue to make it responsive to the needs and desires of our clients. "I love this system "
I love the interface, the way you can create documents and automation is the best I have seen for law firms. I love love the bar code scanning feature. I have nothing to say bad about this system. This is a product that is worth the investment. It is headed in the right direction and will make your life easier as well as your paralegals and assistants. The ability to create templates and automate actions for entering information and having tasks automatically completed. .
"Paralegal in a Personal Injury Firm"
Easy to use, able to keep teack of cases both opened and closed. Helps user stay organized. * We monitor all SmartAdvocate reviews to prevent fraudulent reviews and keep review quality high. We do not post reviews by company employees or direct competitors. Validated reviews require the user to submit a screenshot of the product containing their user ID, in order to verify a user is an actual user of the product. Hi there! Are you looking to implement a solution like SmartAdvocate?